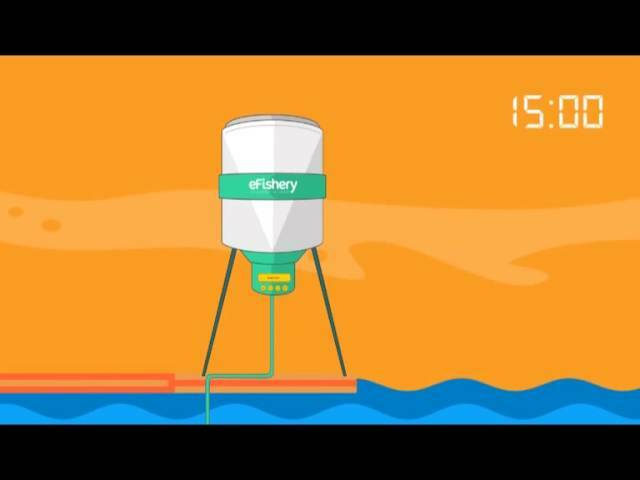 Smart Feeder Feed your fish with the pre-installed algorithm that is connected to an appetite sensor. Real-time Monitoring eFishery reports the time and amount of the feeding, real-time, to the internet. You can access it from your personal dashboard, through your smartphone, tablet, or PC; anytime and anywhere. Easy to Use eFishery is the most user-friendly feeding technology that is available in the market. Easy to install, easy to set, and easy to use; also has remote feature. This would be your best friend for your feeding business! eFishery is the integrated feeding solution for fish and shrimp farming. This machine can feed the fish automatically, sense the fish’s appetite and adjust the amount of feed given with the appetite, and connected to the internet. You can control your fish/shrimp feeding performance directly from your smartphone or laptop, anytime, and anywhere. It can reduce up to 21% of the feeding cost, boost your profit, and give you convenience in handling your business remotely. The best yet affordable technology for your aquaculture business.